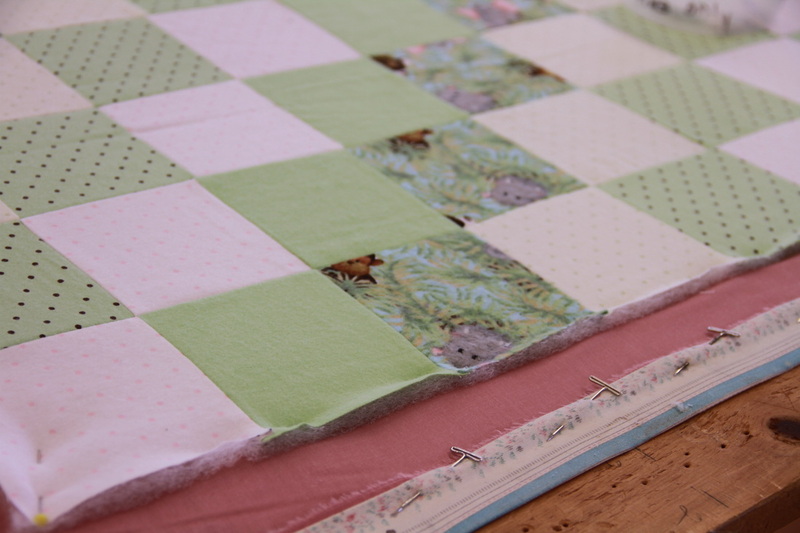 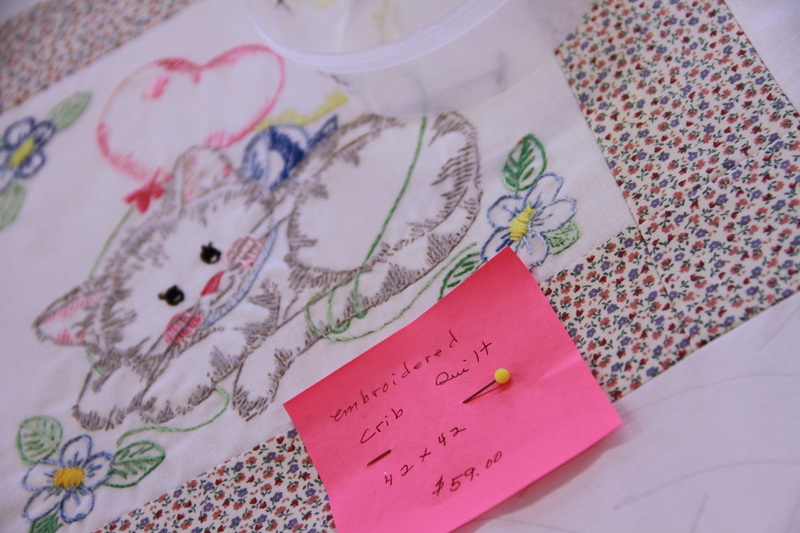 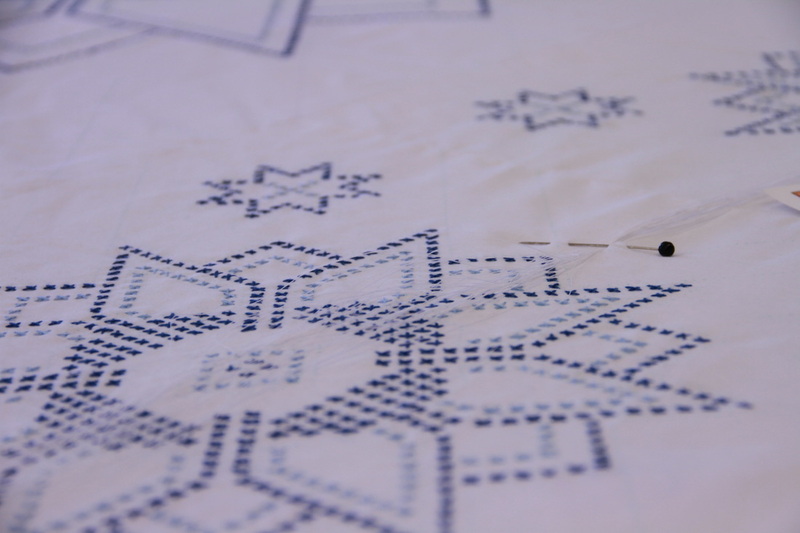 Each of our quilts are pieced together by volunteers who donate their time. 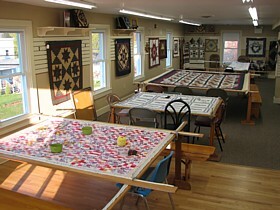 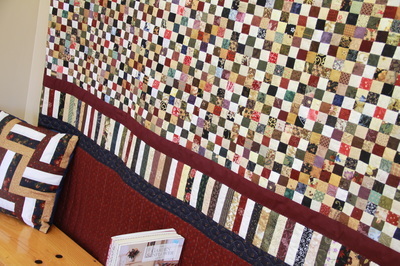 Amish & Mennonite groups do their quilting here at the shoppe in our quilting room. 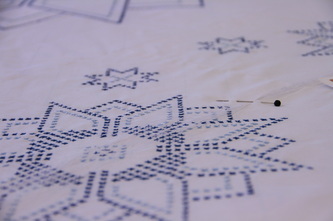 You can watch them do their beautiful work. 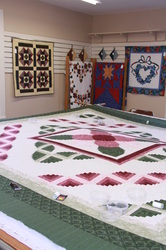 There are groups here typically each week. 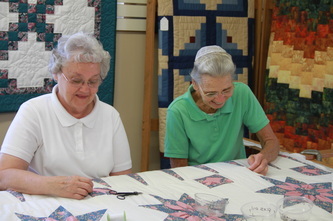 If you are interested in watching the quilters, please call to see when a group will be in. Did you know it takes around 195 hours to quilt a queen size quilt? 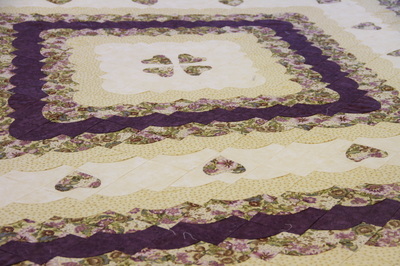 Do you have an unfinished quilt in your closet or attic? 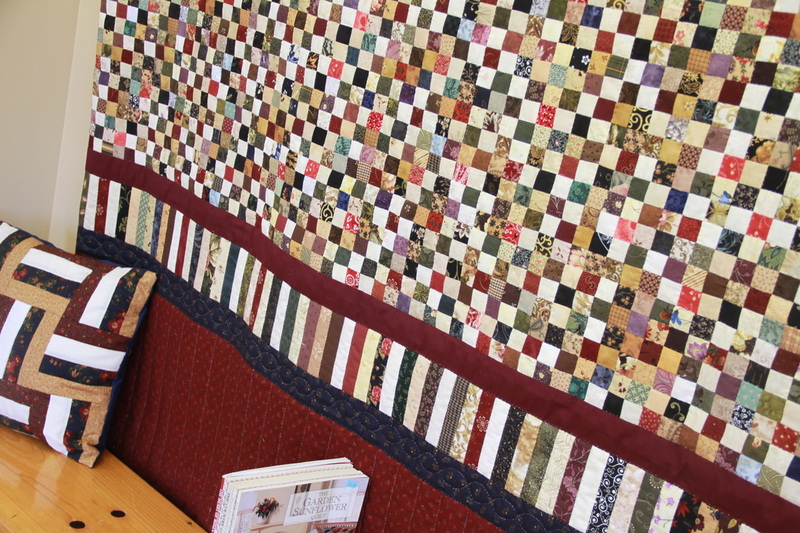 We would be happy to quilt it for you. 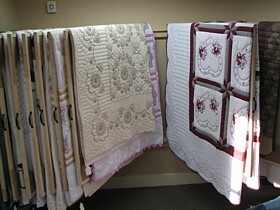 Please call and ask to speak to Gladys, our quilt manager. The cost is determined by the amount of thread used.